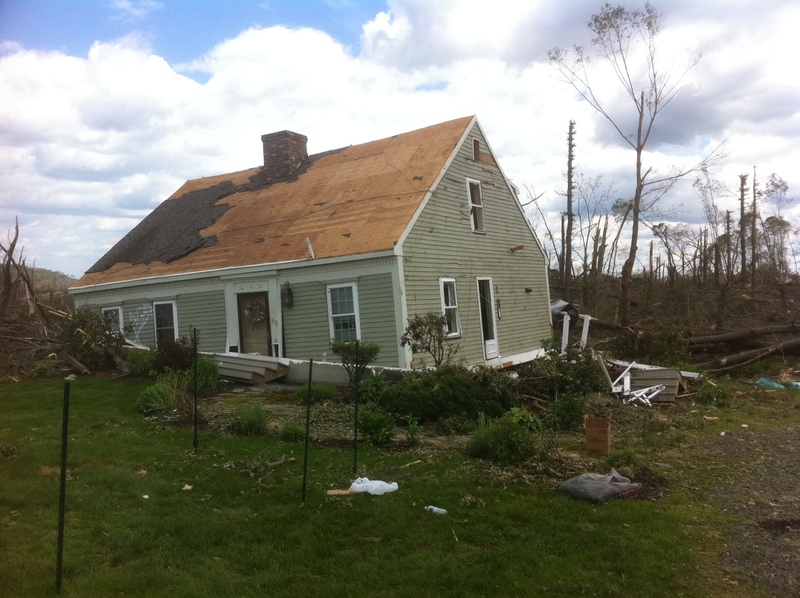 It’s hard to believe that already one year has passed since one of New England’s most significant tornadoes in history. 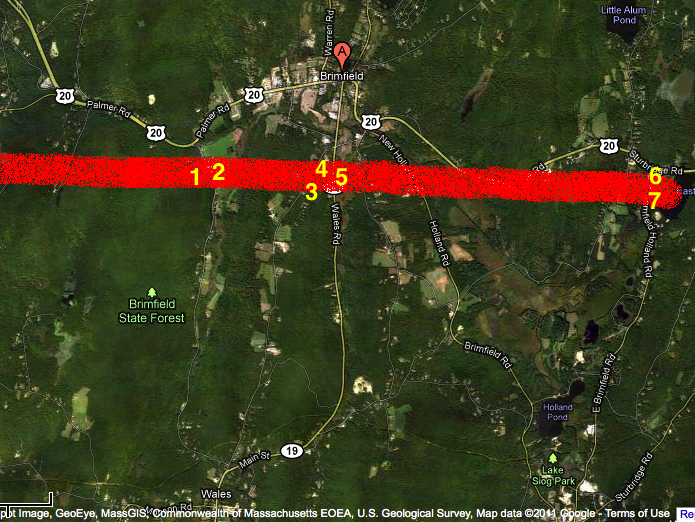 The 39-mile long Westfield to Charlton tornado has joined the pantheon of significant New England tornadoes that includes the 1953 Worcester tornado, 1989 Hamden tornado, and 1979 Windsor Locks tornado. 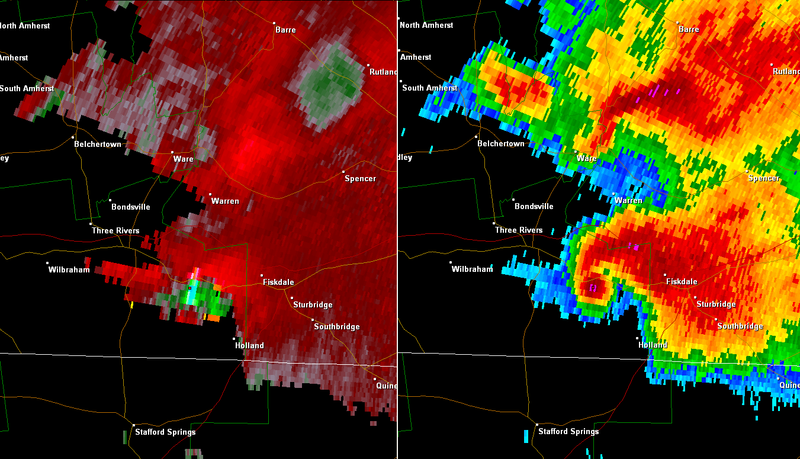 Of the greatest southern New England tornadoes this was one of the only ones we were able to watch develop with “new” technology like Doppler Radar. The images were frightening. 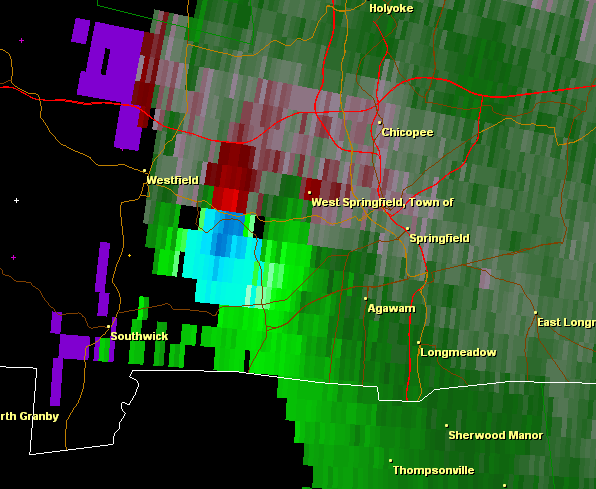 While a tornado warning wasn’t issued for an excruciating 15 minutes while the Albany radar showed a tornado vortex signature, the storm was already tearing up neighborhoods in Westfield and West Springfield. By the time the warning was issued and the storm was getting ready to cross the Connecticut River we saw it all unfold live on WWLP’s live camera in Springfield. 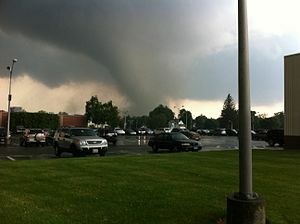 The storm was a monster as it moved out of Springfield but became even stronger in Monson and Brimfield. The pictures and videos are terrifying. This was how the storm looked on Doppler Radar. I have seen debris ball signatures on radar like this countless times. In Joplin, in Tuscaloosa, and Greensburg, and countless other unlucky towns and cities across the country. To see the same signature in New England, on our local radar, in towns I know and have been to many times, the storm hit way too close to home. Several weeks ago I traveled back to Massachusetts to see how the rebuilding effort was going. They’re getting there. Neighborhoods are springing back to life and for many spirits are high. There’s no question it’s been an extremely challenging year as so many lost so much in just seconds last June 1st. 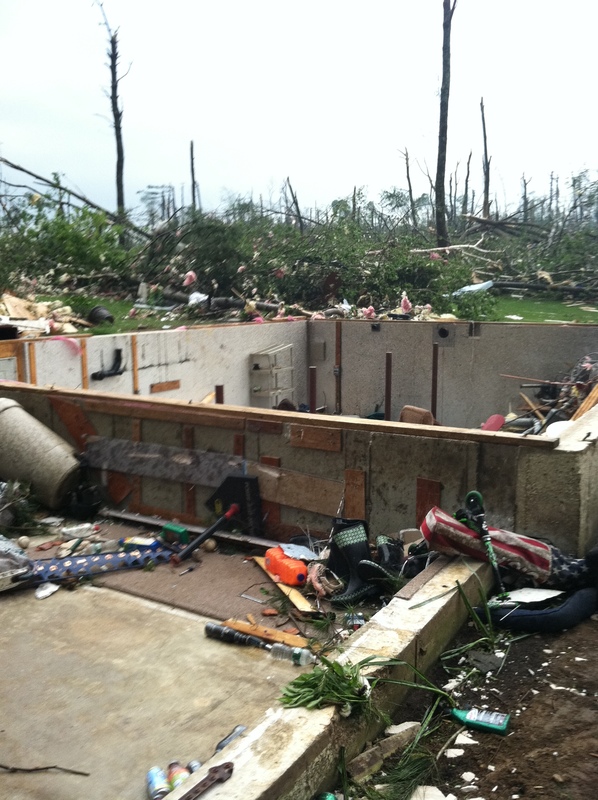 I ran into one family in Brimfield a couple days after the tornado whose house was completely swept away. There was nothing left. They didn’t want to speak on camera then but I spoke with for 10 or 15 minutes about the storm, their ordeal, and what they planned on doing next. A couple weeks ago, by chance, I ran into them again in their neighborhood while we were getting video for an anniversary special we were putting together. Their rebuilding plans are moving forward slowly and though none of this has been easy they seem determined to move past that terrible day. 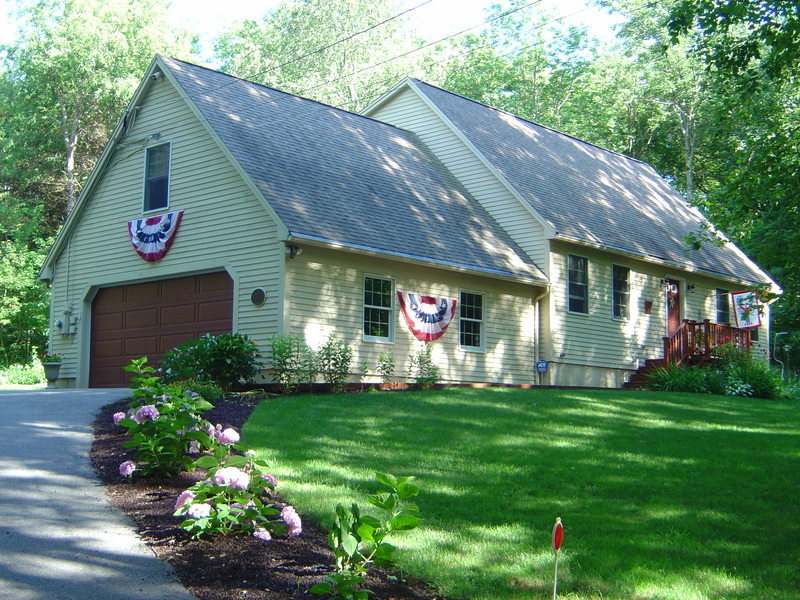 Here is a before and after picture of their Brimfield home. 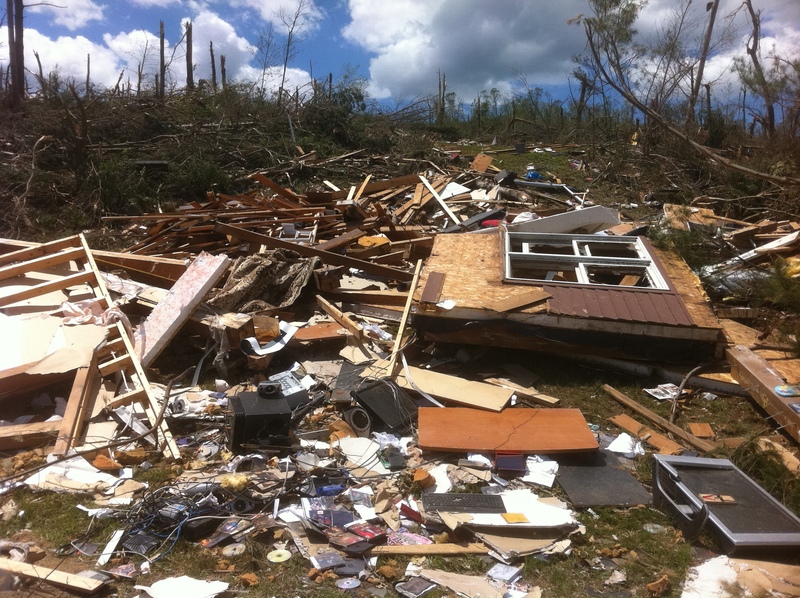 I had only seen the foundation of the house and a pile of debris right after the storm. I couldn’t believe my eyes when I opened the email they sent me with these attached. I learned a lot on June 1st. I think I take my job to help protect and educate people about the dangers of severe weather even more seriously than before after seeing what a storm like this one can do right in our backyard. We’re all guilty of getting lulled into a false sense of security here in Connecticut saying “those kinds of things happen other place” but they certainly can happen right here and have in the past. It’s been 23 years since the last violent tornado in Connecticut – that’s a long time! Even longer, it’s been 74 years since the last major hurricane to strike Connecticut! 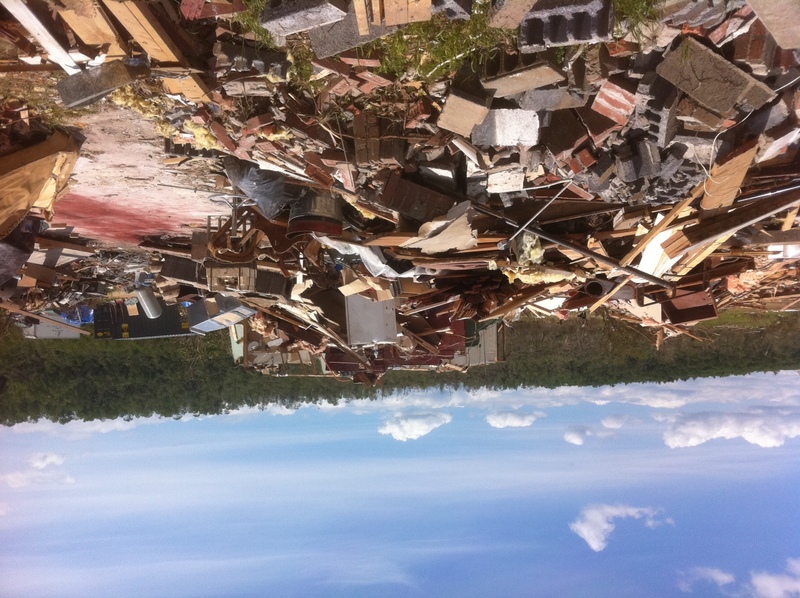 What happened was a terrible tragedy for people in the path of the June 1st tornado. Hopefully we can take the lessons from that day and use them to provide better forecasts, better warnings, and better education before the next storm strikes. Those lessons were hopefully learned from the National Weather Service, media, and private meteorologists right on down to local governments, first responders and residents. While we’ll never be able to prevent devastating storms like this one hopefully we can mitigate their impact by better preparedness and better warnings. A year after standing in the middle of Monson just 2 hours after getting hit by the tornado my thoughts are with everyone impacted by the storm. It’s been a long road for most people hit by the tornado, but if the people I have spoken with recently are any indication, the human spirit is remarkably resilient and life is slowly returning to a new sense of normal. 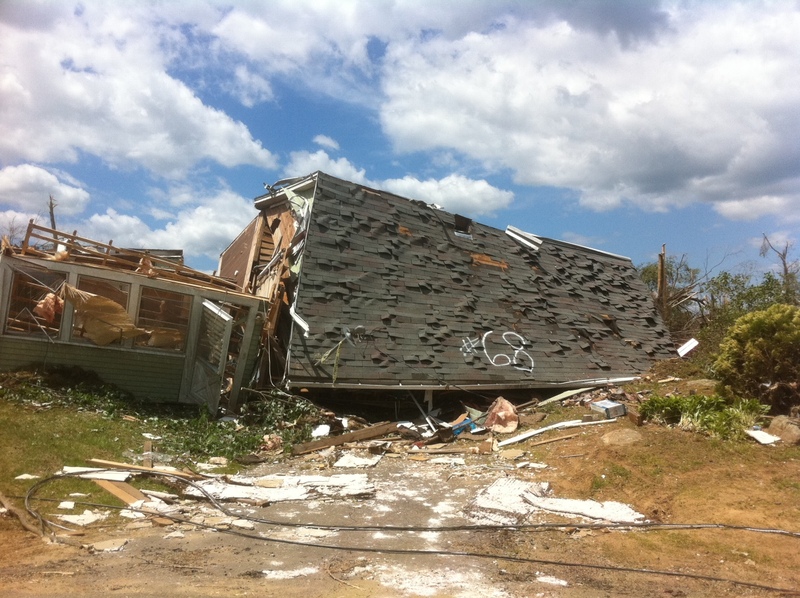 Last Monday I reported from Brimfield and surveyed the tornado damage across the town. The track was remarkably wide and well defined as the tornado clear cut a densely forested area over several hills and valleys on either side of the Brimfield State Forest. I highlighted the tornado’s path on this google map and pointed out a few of the hardest hit areas. Home nearly swept off its foundation off a hill on Hollow Road. 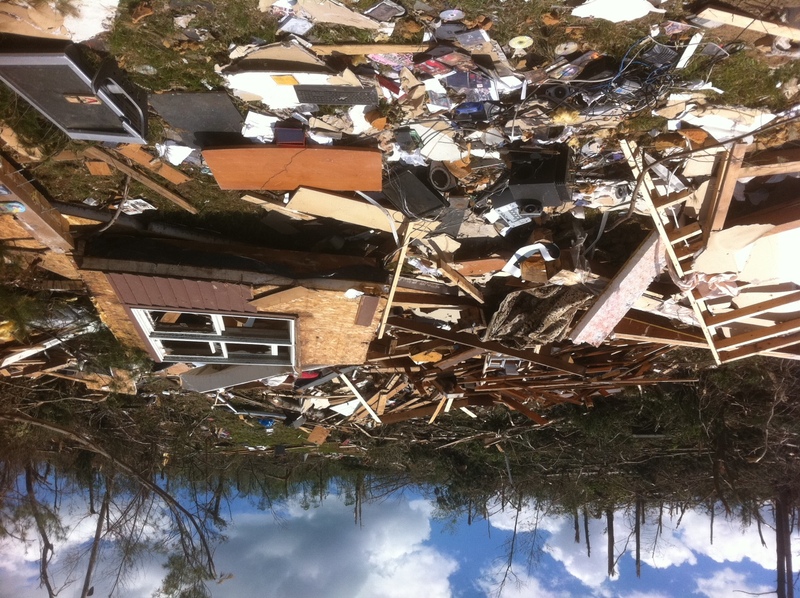 Belongings and pieces of the home were strewn across the hillside and many wound up on Hollow Road (picture 1). Hollow Brook Farm totally destroyed on Hollow Road. Chickens on neighboring farm were stripped of feathers as tornado crossed Hollow Road (Picture 2). Roof lifted off home on Haynes Hill Road and carried about 20 yards to the east. 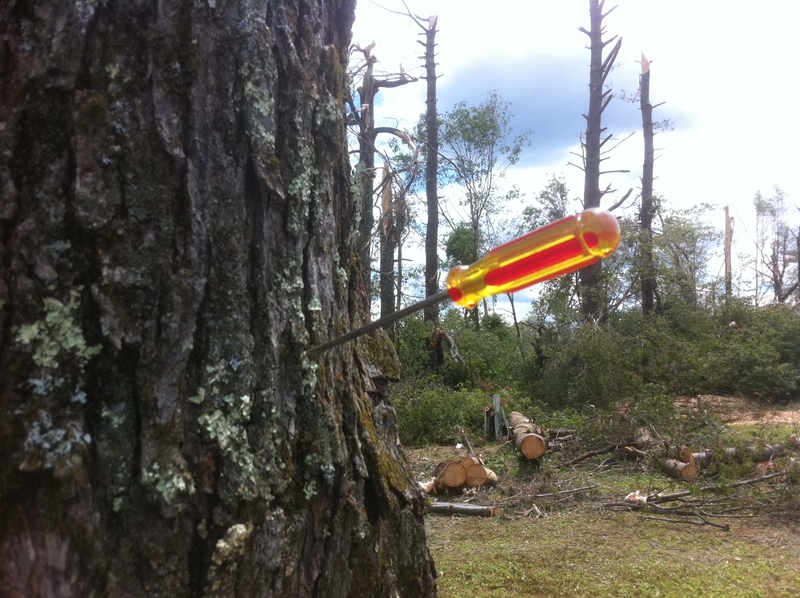 Screwdriver from home became impaled in tree behind home (Picture 3). Home totally swept off foundation (nothing left besides basement) on Haynes Hill Road and all debris was carried west of the home. Home totally swept off foundation on Wales Road into pond behind the home. Virtually the entire home (and belongings) wound up in the neighboring pond. Friendship Baptist Church 0n Holland Road narrowly missed the tornado to the north. Church was used as staging area for some of the relief efforts. Quinebaug Cove Campground on Holland Road destroyed by tornado with some campers wrapped around trees that were left standing. Most trees on campground snapped in half. House Picked Up and Moved on Foundation with 2x4 and Sticks Impaling Southern Wall on Haynes Hill Road.